You are here: Home / Who is Chris Rainey? Life happens; good things, bad things, average things, things that we don’t and never will understand…happen. But, I don’t believe that anyone needs or should just accept ‘life happening’. We all have a choice, you have the opportunity to take what’s happened and create a story and life that you love AND that inspires and helps others. The story I’m writing is one that helps people create a great career by understanding the impact a healthy body and mind have in your career. To be the best at whatever you do you must have the skills. Whether you’re an entrepreneur or starting a career with a company there are professional skills and lifestyle habits that are critical to success. For over 25 years I have been in senior leadership and executive marketing roles. I’ve worked for some incredible organizations and have been very blessed. As I moved up in my career my health moved down and deteriorated quickly. In January of 2014, I hit the bottom after an annual health physical; you can read more of that journey to the end of my rope here. It was at that time I began to realize how much my physical and mental health were impacting my job performance; you can read more about that “fun” discovery here. In January 2017 I was a winner in the MyTransphormationChallenge and became a sponsored brand ambassador for 1st Phorm supplements. Read and watch that story here. Today I’m more healthy, physically and mentally than I’ve ever been. My career is in a great place. And I’m helping others get healthy and see the impacts of that on their career. 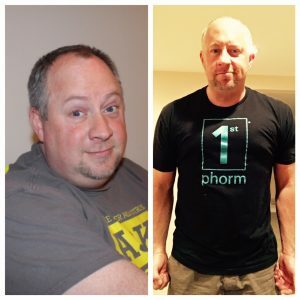 As a certified 1st Phorm Legionnaire I’m helping people become healthy physically and mentally. By providing education on diet, fitness, and supplementation I’m watching people transform their health and their lives. And as people transform their health I’m helping to give them tools and insight on taking their new found energy and combine it with work skills to create a career they enjoy.